Louise, AKA Sprinkle of Glitter, was the first Youtuber I ever subscribed to. And to this day I love waking up in the morning and being able to catch up with her videos on beauty, fashion and her cosy yet exciting life. Her blog also happens to be one of the main inspirations for my own, and is where I was first able to witness her impressive writing skills. So when Louise announced that she was to be releasing her own book, I knew it would be something great. 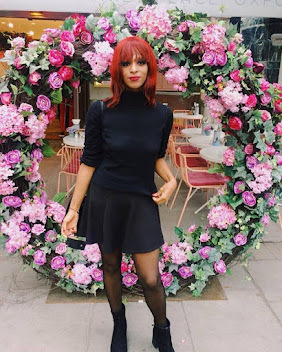 Especially since me and the other viewers of her daily vlog channel had been privy to elements of her book writing journey, along with the hard work and passion she was putting into it. And even with all that in mind, Life With a Sprinkle of Glitter managed to surpass my already high expectations. Firstly, the book is the prettiest that I've ever owned. It resembles a scrapbook inside and out; the cover being made up of multiple textures, including actual stuck on gold glitter! Inside the book each spread of pages carries its own unique aesthetic theme, relevant to its text. 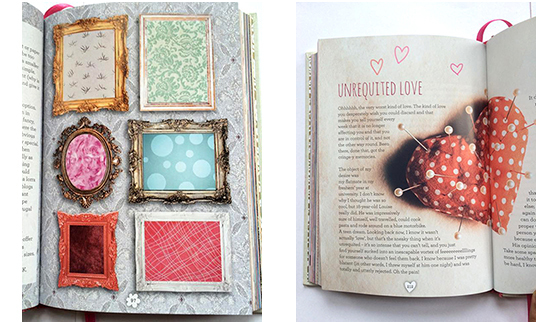 The beautiful aesthetics of the book really reflect the creative nature that Louise's blog and Youtube channel were built upon. In terms of written content, the book is broken up into thematic sections and then sub chapters. And within the chapters Louise imparts her wisdom on subjects of her expertise, including beauty, travel and crafts - whilst also giving inspiring examples of how to wing it when it comes to elements of life that aren't necessarily one's forte. 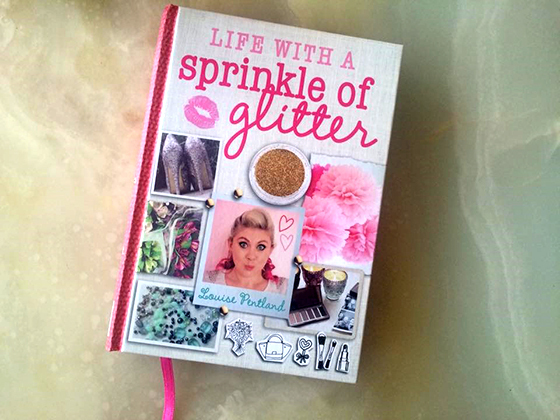 Life With a Sprinkle of Glitter is essentially a glittery 'how to guide' to life. 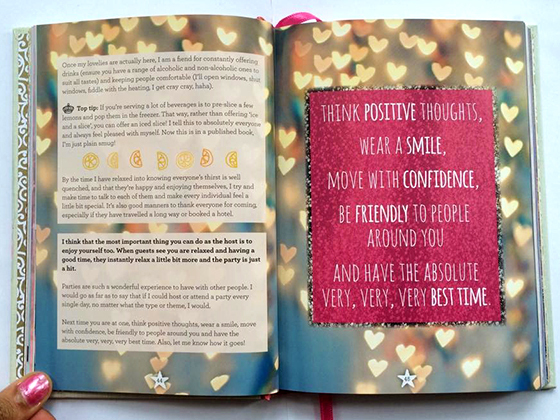 It contains a multitude of valuable life hacks, safety tips and affirmations, but with an added personal touch - you also learn more about Louise herself along the way. Reading this book will leave you with knowledge of how to create a happy, self compassionate and luxurious life for yourself, tailored to your own personality type, stage of life and bank balance. The chapter that has stuck with me the most is 'Comfort Zones', in which Louise goes into depth regarding her fear of being far away from home. As I have anxiety, I really appreciate her honesty when discussing her irrational fear, but also valued her emphasis on the fact that even the worst possible outcome in a situation that causes us anxiety is never actually that bad, and is always something that one is able to deal with. With Life With a Sprinkle of Glitter now on my bookshelf I feel more equipped and excited to face the rest of my 20s (and beyond). 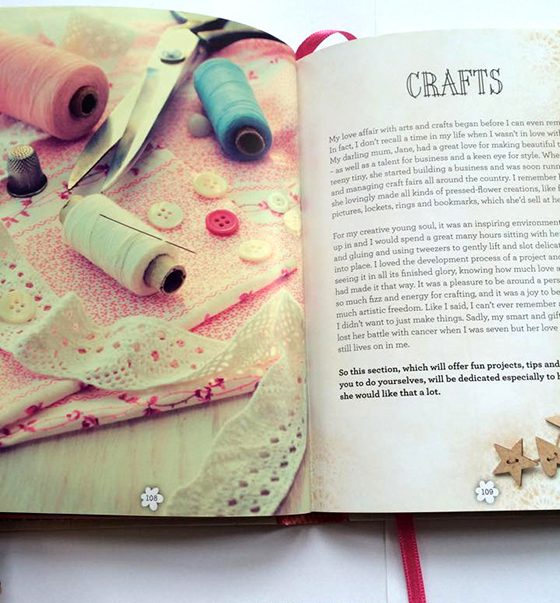 I can't wait to implement her home ideas into my new flat and to have a go at some of the suggested crafting projects, along with exercising the new found positive mindset that the book has left me with. Though I love both Louise's blog and Youtube channel, I feel that she excels in this medium. This book is a place where her wisdom, writing skills, humour, positivity, creativity and eye for aesthetics can live as one, whilst being able to fit into a small handbag. Let me know if you've also read this book and what you thought!